Fitzwilliam Hospital is one of Cambridgeshire's leading independent hospitals with a reputation for delivering high quality healthcare treatments and services since 1983. 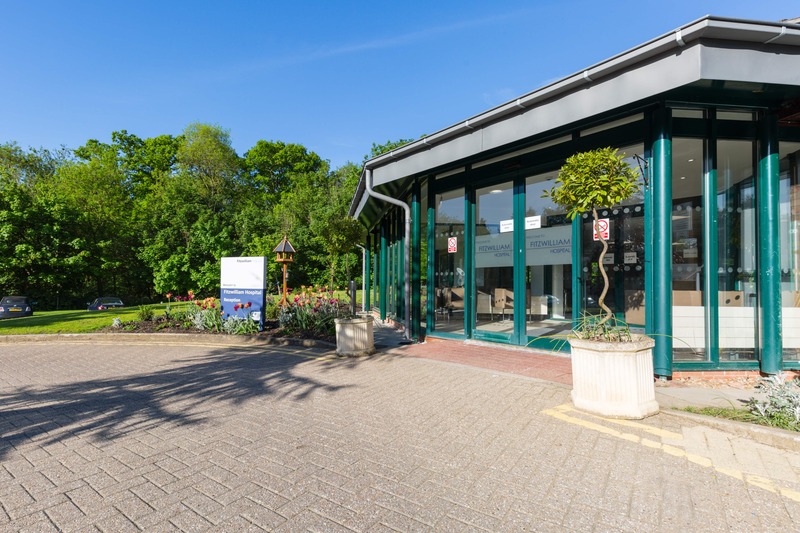 The hospital is situated in the quiet landscaped grounds of the Milton Estate in Peterborough and has 47 single bedrooms and two twin-bedded rooms all with en suite facilities. The hospital provides services for both private and NHS patients. By investing in advanced medical technology, the hospital offers a state-of-the-art range of treatments and services. The fully equipped ultra clean air theatre suite is particularly suitable for orthopaedic procedures such as spinal surgery, arthroscopy, hip replacements and knee replacements. The Braithwaite day unit is used for minor operations and endoscopies. The hospital is an Orthopaedic Centre of Excellence and offers a full range of Orthopaedic procedures including spinal assessment. Other procedures include colonoscopy, ear, nose and throat procedures, hernia surgery, cataract surgery, gastroscopy, varicose vein treatment, hysteroscopy, gynaecology, dermatology and urological procedures.